This is one of my favorite times of year. I love the music, decorations, time with friends and thinking of what to buy for people I love. I’ve always loved Christmastime most. But something shifted in me after Ethan died. And this season, while still a favorite, now has a heaviness to it that walks beside the wonder. The heaviness catches up to me a couple weeks before Christmas. I now know I need to sit with it, not rush through the feelings, but feel them, journal about my thoughts and walk through the memories of Christmases past. Ethan’s last Christmas was full of significant experiences. He was chosen to light the hospital Christmas Tree. Chase was born 12 days before Christmas that year. We baptized him on Christmas Day and Ethan’s first ever nurse made us a beautiful dinner that we ate in the department of anesthesia conference room. The day Chase was born Ethan’s doctors and nurses brought him along with his oxygen, med pumps and all that was attached to him over the bridge to the women and children’s hospital to meet Chase. We were interviewed by a local paper and that story helped Ethan meet Jack Johnson, his favorite singer, via FaceTime. A couple days after Christmas his doctors would tell us he needed another surgery and it would be the beginning of the end. The next six months would be some of the hardest of my life. This December Chase turned seven. Ethan died when he was seven. The passage of time felt thick and unbelievable. The memories felt close and I needed to take some time to sit with all of it. Christmas is nostalgic. Sometimes that nostalgia is painful. We find ourselves hoping or wishing or remembering. If that’s you this Christmas, sit there, and allow yourself time to be right there. Give yourself permission to feel all it is that you feel. For me, it’s not only missing Ethan but confronting the reality of Bodey’s life. It’s hard to buy presents for a four-year old that can’t do ‘typical’ four-year-old things. I struggle to find toys to buy for him that he can actually enjoy. At the same time, I enjoy granting Chase and Blake their Christmas wishes. I love the lights and the baking. The parties and laughter. If you’ve followed me for any length of time, you know that I believe the sweetness of life is found in walking the middle road. The in-between spaces. I feel like my life is continuously asking me to live in this space. And as I surrender and sink into this space, I find more and more gifts there. This year I consciously took time to go visit and schedule meet ups with some women dear to me that I don’t get to connect with often enough. I had the chance to enter their stories. During these sacred times with dear friends, I find that my continuous walking in the middle spaces allows me to see and love them in unique ways. I love that my story has given me these gifts. This year I feel in awe and so thankful that people share with me their hearts and that I can actually feel their joys, pains, and longings. I love upside down thinking. I seek it out. I want to learn from others who see things in a new and different way. Who find gifts in the most unlikely spaces, who dig in and are willing to go places so many won’t. Christmas, to me, is a primetime upside down presentation. A king born in a stable. Stars guiding ordinary people. A young, unmarried woman chosen to be Jesus’ mother. The supernatural meeting the natural. Light bursting forth in the deepest darkness. Hope sitting with despair. Wonder and doubt finding a home in the same space. 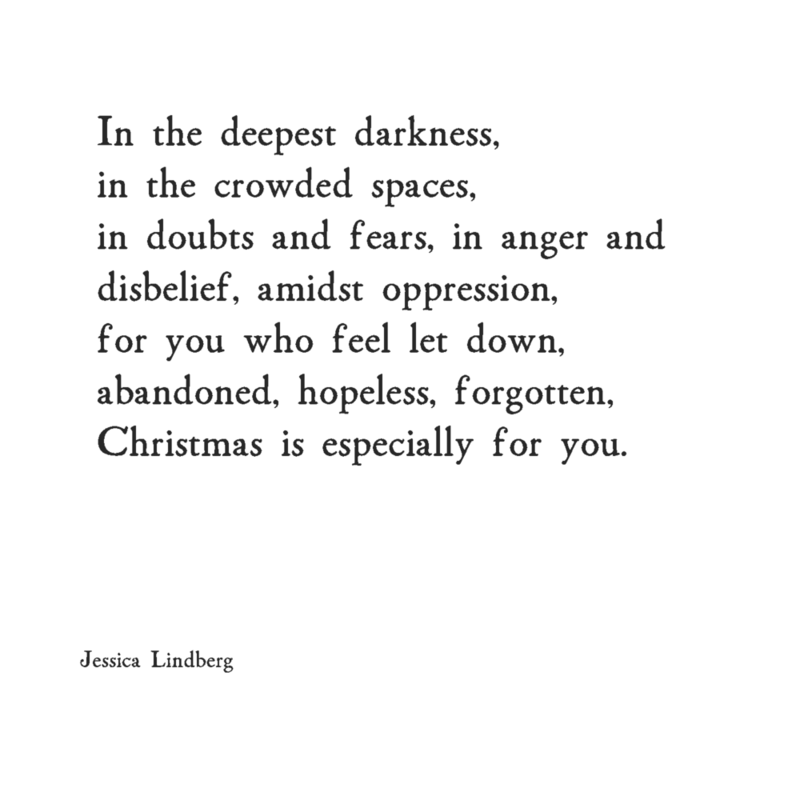 If you are sitting in these middle spaces this Christmas, I want to tell you that this time of year is especially for you. I wrote this Instagram post this week. I hope you will feel seen in it. Do you wonder? Do you wonder if all this is for you too? You who ache. You who wonder. You who aren’t sure what you believe or what is even true anymore. You whose life is upside down in all ways with no signs of straightening up any time soon. You whose heart is shattered. You who aren’t sure what you are here to do. You who is flat out angry at life. You who feels lost. You who is lonely. You who longs for your soul to be fulfilled. For all of you sitting in this fragile space. Yes, Christmas is for you too. In it is a hidden wonder, uncertainty, darkness, and light. In its story are wanderers, those cast aside and put in uncomfortable spaces. The story shares hope born in the deepest darkness. In an unlikely place amidst ordinary people. People like you and me. People wondering and hoping as we wade through the unknown. As we sit with the sorrowful, the hopeful, the fearful, the dreamer, the weary. We can be Christmas to each other. No, not in gifts and wrapped packages, but with our time. With our prayers. With our words. With our compassion. This week I am holding so many stories of struggle. Of all kinds, in all different stories and circumstances. I want a magic wand. I want healing powers. I want to give answers. I have none of those things. But like you, I have love to give. Tears to cry, work to do, ears to listen, words to speak and time to give. And in those gifts, you find Christmas. In those gifts you find Hope. Born of love, amidst the deepest darkness. For you and for me. This week I also listened to these podcasts, that you might like too. BTW - I’m a huge podcaster. 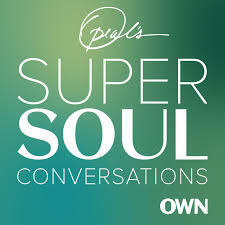 My favorite topics - entrepreneurship, personal growth, faith, spiritual growth. Click on the buttons for the podcast links. I’ll be posting one more time this year about how I approach a new year. Thank you all for taking your precious time to read my words and journey with me. I wish you and your family a very Merry Christmas. I hope you will take some quiet time to meditate on the gifts of this season.